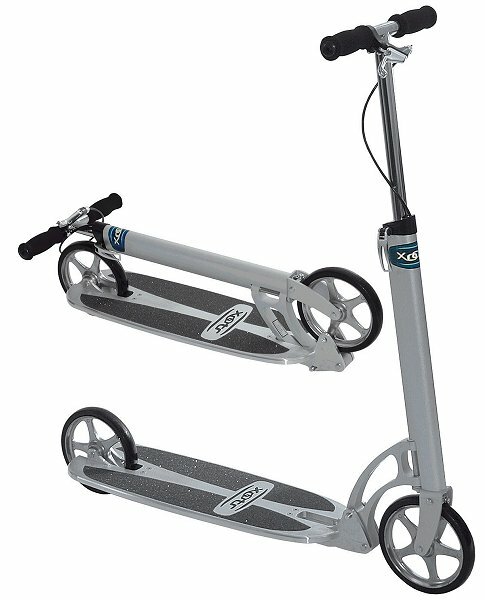 I recently purchased a Xootr on eBay for only $85 (retails new for $200), which is an adult-sized kick scooter that has large diameter wheels and ultra-low friction wheel bearings, so it coasts farther and smoother than most other "toy" scooters on the market. This thing is great for running back and forth through the paddock area and the pits at my racing events (especially at the larger venues where it's a LONG walk back to the paddock area from the bathroom or pits) and folds up and fits nicely in the trunk with all my other tools when not in use, plus... they're fun to ride!. I highly recommend them! Check out the Xootr Scooters here!